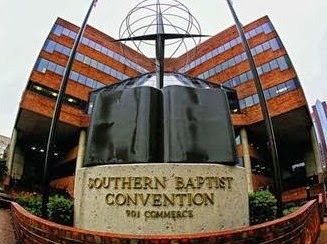 USA Today reports that Southern Baptists are suing the federal government over Obamacare's contraception mandate. Guidestone Financial Resources is a division of the SBC that provides health benefits to Southern Baptist churches. When the law goes into effect on January 1, it would require Southern Baptists to foot the bill for insurance that covers contraceptives and abortion-inducing drugs. Three non-profit religious organizations, including a division of the Nashville-based Southern Baptist Convention, are suing the federal government over a controversial contraceptives regulation that is a part of the Affordable Care Act. The organizations Monday announced the class-action lawsuit against the federal requirement that employers cover the cost of contraceptives, including drugs that can cause abortions. The groups argue the requirement infringes on religious liberty. I've said this before, and I'll say it again. Obamacare's contraceptive mandate is an egregious violation of religious liberty. The issue will eventually make it before the Supreme Court, and the dispute will likely continue until it does.